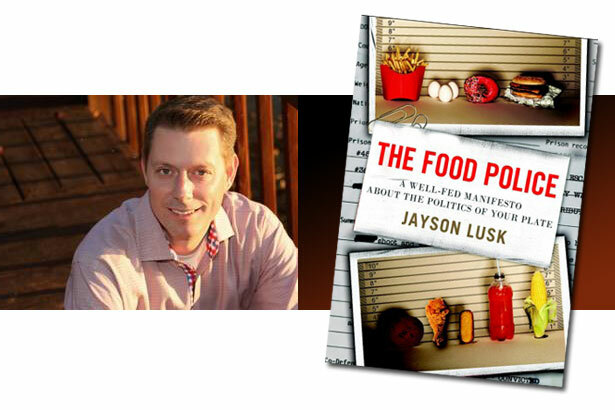 Highly regarded food and agriculture economist Jayson Lusk has just published a new book, The Food Police, that sheds new light on the ethics and economics of buying organic, local, GMOs and more, while casting doubt on some of the running arguments made by heavyweights like Mark Bittman and Michael Pollan. We speak with the author and professor to find out more. theFashionSpot: In the book, you devote a good amount of time to organic and how it might be overrated in certain respects. Can you elaborate on that? Jayson Lusk: I’m not against organic. I’m against bad arguments for buying organic. I don’t pretend to know whether it is worth the price for each individual item, because that depends on one’s income, preferences, etc. What the research reveals, however, is that many people believe things about organic that simply aren’t true. The scientific literature shows organics to be no tastier or more nutritious than non-organics. Organic isn’t guaranteed to be from a small farm, nor is it guaranteed better for the environment. Organic farmers DO use “natural” pesticides such as copper, sulfur and Bt (this is the pesticide, by the way, that gets some people so unduly worried about GMOs). Some organic farmers, but not all, till the ground more frequently (leading to more soil erosion) than non-organic due to the inability to use synthetic weed control. It is clear that organic yields are lower than non-organic, which means more land needs to be brought into production to grow the same amount of food we now enjoy. Organic foods might have fewer pesticides and might have some small environmental benefits, depending on the extent to which more land is brought into production, and they require more space for some animals like egg-laying hens. I occasionally buy organic, but not very often: for my taste, they don’t provide enough bang for my buck. I certainly won’t chastise anyone for choosing organic. But, I will take issue with claims about organic that are not supported by science. tFS: What are your thoughts on the potential dangers of GMOs? What do you see as their upsides? JL: Every major scientific authority on the subject – from the American Medical Association to the National Academy of Science to the American Association for the Advancement of Science to the World Health Organization – has confirmed the basic safety of eating GMOs. GMOs convey no unique risks that are not also present in eating crops bred in conventional ways. A lot of people are worried about corporate influence in agriculture – particularly Monsanto – and that is a reasonable objection (although not one I happen to share). But somewhere along the way, people’s distrust of Monsanto and others like Dow, Bayer and Du Pont, has led people to latch onto and propagate some of the worst forms of fear-based pseudo-science. Many claims about lack of safety of GMOs are tantamount to climate change denial. GMOs are not a panacea for all the world's food problems, but there are many upsides. Current GMOs on the market lead to lower food prices for consumers and less pesticide use for farmers. But, the more exciting developments are on the horizon. Golden rice has been created by independent scientists to aid consumers in developing countries to help eliminate vitamin A deficiencies and blindness. Other non-profit organizations, such as the Gates foundation, are working on research to incorporate other micronutrients into staple crops in Africa. Ultimately, we may have crops that are able to use less water, less fertilizer and even produce heart-healthier oils for consumers. Again, GMOs are not “the” answer for all the challenges in agriculture, but all tools and technologies should be on the table when thinking about ways to sustainably feed a hungry, fast growing world. tFS: You're not a fan of [NYC Mayor Michael] Bloomberg's soda ban and other "food police" tactics, can you elaborate on why? JL: My objections are philosophical and practical. The ban reveals a type of elitism. One person — Bloomberg in this case — apparently thinks he knows better how others should eat. The truth is that we all face different incomes and have different preferences, wants and desires, and the presumption that someone else knows how best I should choose is condescending. Providing information on health risks is one thing; making the choice for us is another. On the practical side, there is very little evidence the ban will actually cause much change in weight (and some research suggests the ban may even cause people to drink more soda). In fact, I believe Bloomberg admitted as much when he called the ban symbolic. But what kind of symbol is he sending? That he’s willing to pass laws he knows won’t work simply to make a statement. tFS: Can you explain some of how government food subsides are worsening the health of Americans and their access to healthy foods? JL: The best research actually shows that farm subsidies have had very little effect on the nation’s weight. Farm policies have made some foods like corn cheaper, but other policies, like quotas and import tariffs, have made other food like sugar much more expensive. There is some evidence that various aspects of farm policy have resulted in less fruit and vegetable consumption. I am no fan of farm subsidies. The government should get out of the business of favoring some crops and foods over others. Where I differ from many of the “food police” is that, while they want to dismantle farm policy, they also want to replace it with all sorts of subsidies and other interventions that have dubious economic justification. tFS: How can we help children embrace healthier foods? What do you think about the progress — if you even consider it progress — that is being made with school lunches? JL: With two children of my own, that’s a question I think about a lot. There are no easy answers. Simply requiring schools to put two vegetables on a plate doesn’t guarantee efficient-healthy policy, and two results of the new changes have been higher cost and more waste. The school lunch program is a bureaucratic nightmare. I’d prefer more local parent and administrator control over how school lunch dollars are spent. The best policy in New York City is probably not the same as the best one in Berkeley or Albuquerque. We need more research into what works best rather than knee-jerk reactions. I’d like to see more research on effects of more exercise time in schools, longer times to each lunch, and competition to provide healthier lunches in a cost-effective manner. 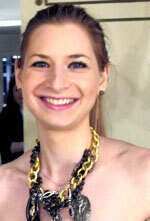 Pre-Fall 2014 Report: Prabal Gurung, Tory Burch, Helmut Lang, Narciso Rodriguez and MissioniMedical Experts Say Stop Wasting Your Money on Vitamins!